It only took 42 years, but the Kemper name finally came off the building at 4750 North Sheridan. In 1972, Kemper Insurance donated its building to ICA (Institute of Cultural Affairs) after owning it and headquartering there for many years. 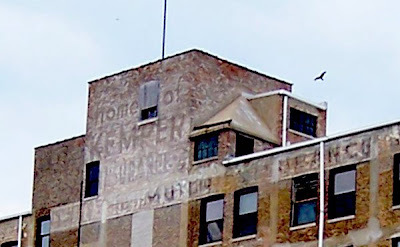 For decades afterward, you could see the Kemper ghost sign on the back of the building as you headed east. 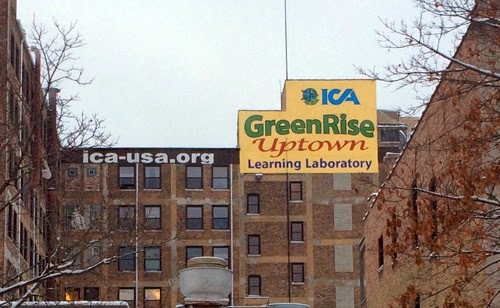 But last summer, ICA, which has rebranded the building as ICA GreenRise and focuses on sustainable practices there, put its own mark on the building and painted its own sign directly on the brick facade. 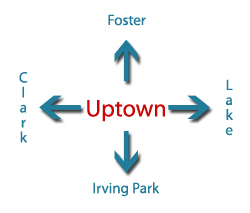 Who knows, in 50 or 60 years, Uptowners may be squinting at it and trying to make out the words. For more on Uptown's ghost signs, click here. For more on ICA GreenRise, click here. 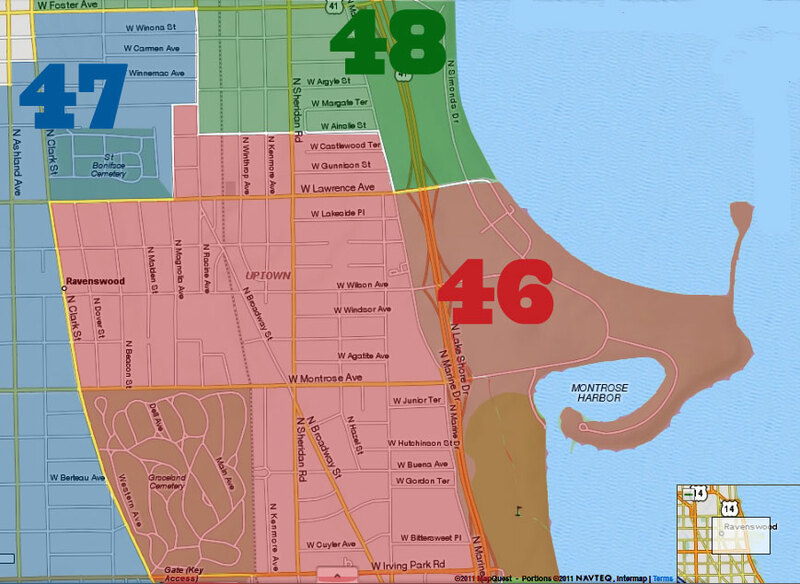 For more on the history of the building, click here.